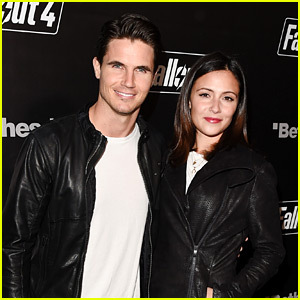 Robbie Amell & Italia Ricci Couple Up for Video Game Launch! Robbie Amell and Italia Ricci are a super cute couple while walking the carpet at the Fallout 4 video game launch event on Thursday (November 5) in Los Angeles. The 27-year-old The Flash actor was so excited for the launch of the game that he also attended a preview day to play it before the release. “Full geek out. #Fallout4!!!!! @xbox @bethesdasoftworks @fallout_game,” Robbie captioned the photo below on Instagram. 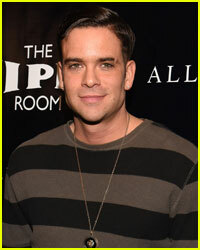 Other stars in attendance included Tyler Blackburn, Jessica Lowndes, Mark Salling, Hart of Dixie‘s Scott Porter, Mad Men‘s January Jones, and The Big Bang Theory‘s Kaley Cuoco and Johnny Galecki. If you think you recognize who Mark Salling is dressed up as for Halloween this year, that’s because it is JJJ’s editor-in chief Jared Eng! Mark was seen having fun with the Nerf Zombie Strike toy at the party. All of the guests who entered the venue got the chance to shoot the zombie target in the maze outside as well! 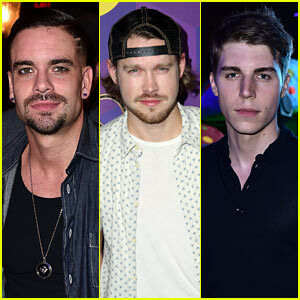 Other guests at the party included Chord Overstreet, Drew Van Acker, Grey Damon, Giles Matthey, Edi Gathegi, Chris Galya, Josh Henderson, Jayson Blair, Luke Grimes, Tony Revolori, and social media star Logan Paul. 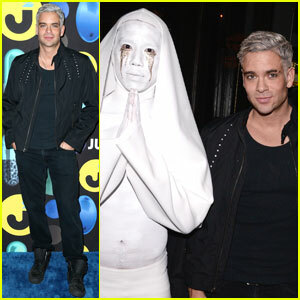 Chord Overstreet & Mark Salling Get 'Glee'ful in Wonderland! Chord Overstreet and Mark Salling pose for photos while making an appearance at Just Jared’s Way Too Wonderland Party presented by Ever After High on Thursday (August 27) at Greystone Manor in Los Angeles. The guys starred together on Glee and they were joined at the event by Nolan Gerard Funk, who had a guest-starring gig on the Fox series. Teen Wolf‘s Arden Cho, Daniel Sharman, Cody Saintgnue, and Ian Bohen all checked out the fun at the party while we also got visits from Scream‘s Bobby Campo and The Vampire Diaries‘ Kendrick Sampson. 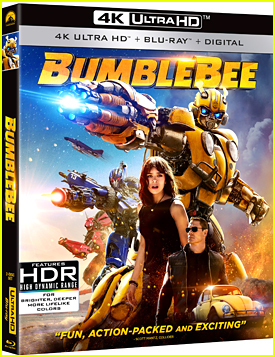 Other stars in attendance included Significant Mother co-stars Nathaniel Buzolic and Josh Zuckerman, Shiloh Fernandez, Travis Tope, Straight Outta Compton‘s Marlon Yates, Travis Van Winkle, and Make It Or Break It‘s Johnny Pacar with girlfriend Christie Burson. Guests at the event kept hydrated all night long thanks to AQUAhydrate! 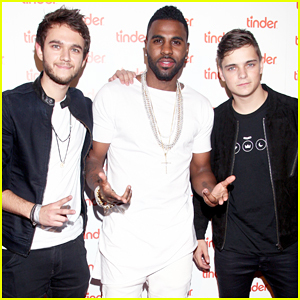 Jason Derulo, Zedd, & Martin Garrix Team Up at Tinder Plus' Launch Party! Jason Derulo gets in-between superstar DJs Zedd and Martin Garrix while attending the Tinder Plus Launch Party held at the Hangar 8 Santa Monica at Barker Hangar on Wednesday (June 17) in Santa Monica, Calif. The 25-year-old singer went shirtless as he hit the stage to perform tracks off his brand new album Everything Is 4, which is available in stores and on iTunes now! 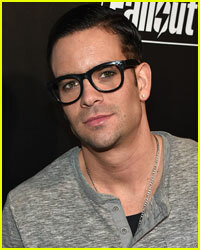 Rapper French Montana, Glee star Mark Salling, model Shaun Ross, and singer Cher Lloyd were also in attendance at the party!